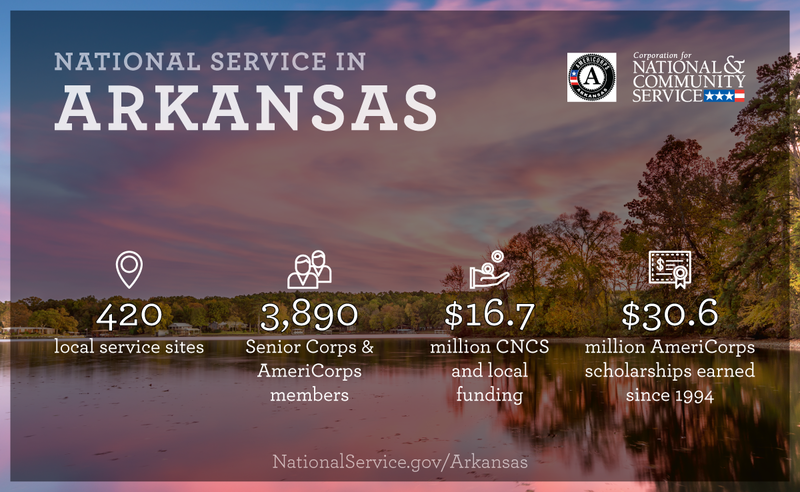 Last year more than 3,900 Americans of all ages and backgrounds met local needs, strengthened communities, and expanded economic opportunity through national service in Arkansas. The Corporation for National and Community Service (CNCS) invested more than $11.0 million to support cost-effective community solutions, working hand in hand with local partners to empower citizens to solve problems. AmeriCorps members and Senior Corps volunteers are preparing today's students for tomorrow's jobs, reducing crime and reviving cities, connecting veterans to services, fighting the opioid epidemic, helping seniors live independently, and rebuilding communities after disasters. Service members served at more than 300 locations across Arkansas, including schools, food banks, homeless shelters, health clinics, youth centers, veterans facilities, and other nonprofit and faith-based organizations. Through a unique public-private partnership, CNCS, its grantees, and project sponsors generated more than $5.9 million in outside resources from businesses, foundations, public agencies, and other sources in FY 2017. This local support strengthened community impact and increased the return on taxpayer dollars. 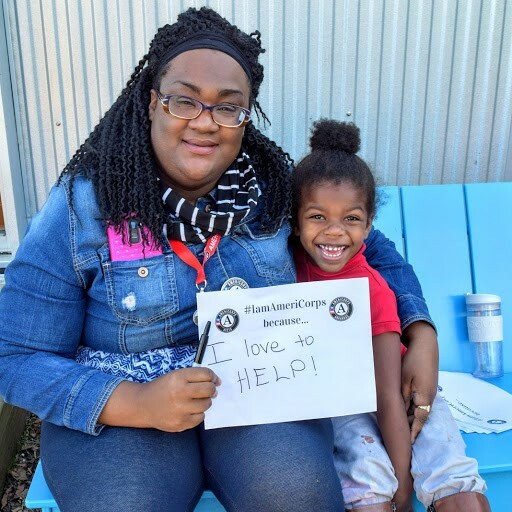 AmeriCorps State & National engages men and women in intensive service at thousands of locations across the country through nonprofits, schools, public agencies, tribes, and community and faith-based groups. 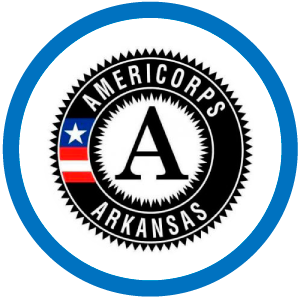 Most AmeriCorps grant funding goes to the Arkansas Service Commission, the Governor-appointed State Service Commission, which in turn awards grants to organizations to respond to local needs. In exchange for their service, AmeriCorps members earn an education award that can be used to pay for college or to pay back qualified student loans. 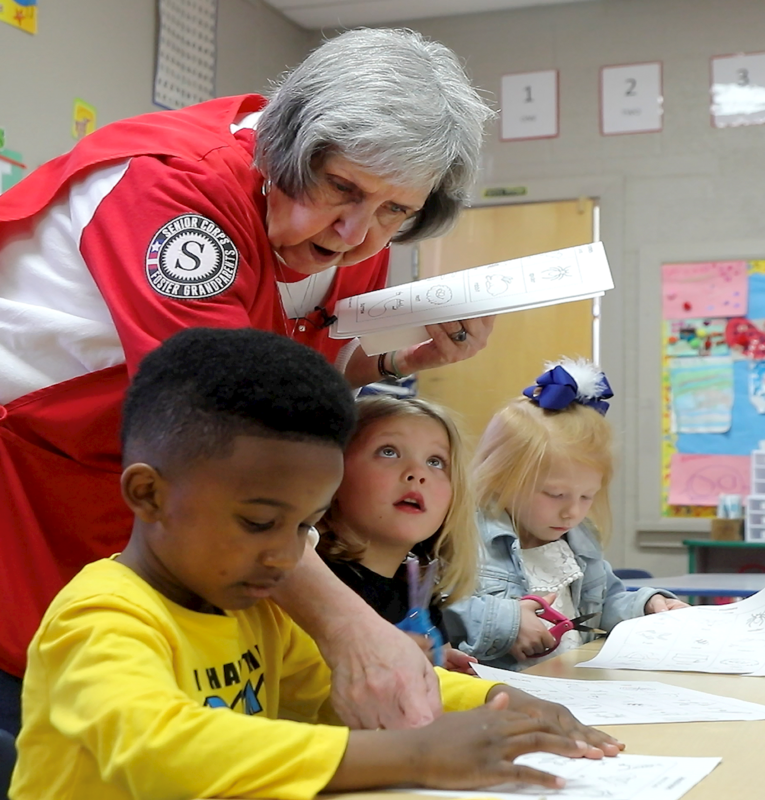 Since 1994, more than 8,900 Arkansas residents have served more than 15 million hours and have qualified for Segal AmeriCorps Education Awards totaling more than $29,240,000. 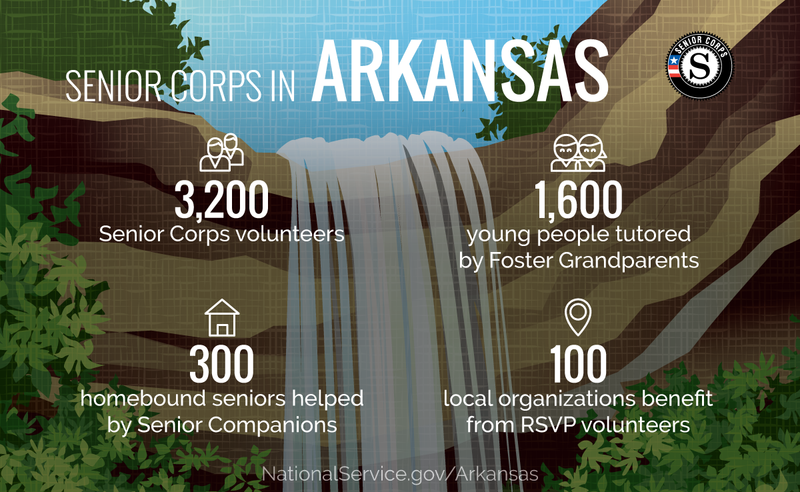 Last year in Arkansas, Foster Grandparents tutored and mentored 2,670 young people, Senior Companions helped 270 seniors live independently, and RSVP volunteers strengthened the impact of 100 organizations across the state. 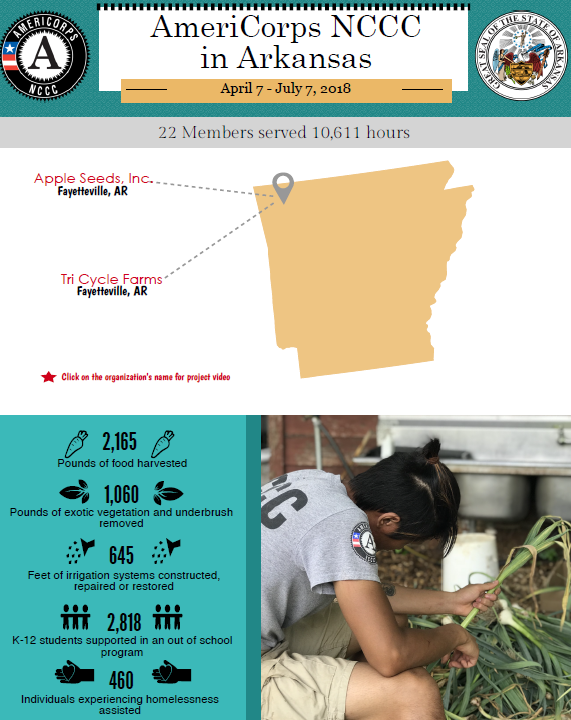 The AmeriCorps National Civilian Community Corps (NCCC) Earth 6 Team toured Arkansas, lending their talents to an important endeavor. Earth 6 operates as part of AmeriCorps NCCC, which is a full-time, team-based residential service program for individuals who desire to partake in community service projects. The focus of NCCC is to strengthen communities and develop leaders through civic service, as members complete projects such as: building and refurbishing homes for families in need, to cleaning city parks, streams, trails, or shorelines. The Corporation for National and Community Service is a federal agency that improves lives, strengthens communities, and fosters civic engagement through service and volunteering. 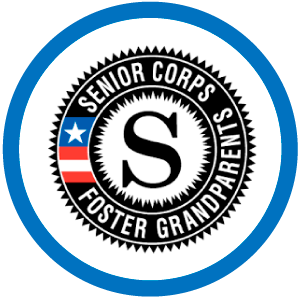 CNCS annually engages millions of Americans in service to meet local needs through Senior Corps, AmeriCorps, and national days of service; improves communities through the Social Innovation Fund, and leads volunteer initiatives across the nation. To learn more visit NationalService.gov or Serve.gov or call 202-606-5000 or TTY 1-800-833-3722.